• Initial weight loss is largely due to loss of water, and you need to drink an adequate amount of water in order to avoid dehydration. • The process of burning calories requires an adequate supply of water in order to function efficiently; dehydration slows down the fat-burning process. • Burning calories creates toxins (think of the exhaust coming out of your car), and water plays a vital role in flushing them out of your body. • Dehydration causes a reduction in blood volume; a reduction in blood volume causes a reduction in the supply of oxygen to your muscles; and a reduction in the supply of oxygen to your muscles can make you feel tired. • Water helps maintain muscle tone by assisting muscles in their ability to contract, and it lubricates your joints. Proper hydration can help reduce muscle and joint soreness when exercising. • A healthy (weight loss) lifestyle includes a good amount of fiber. But while fiber is normally helpful to your digestive system, without adequate fluids it can cause constipation instead of helping to eliminate it. • Drinking water with a meal may make you feel full sooner and therefore satisfied eating less. Note, however, that drinking water alone may not have this effect. In order to feel satiated (not hungry), our bodies need bulk, calories and nutrients. How much water you actually need depends on your weight, level of activity, the temperature and humidity of your environment, and your diet. Your diet makes a difference because if you eat plenty of water-dense foods like fruits and vegetables your need to drink water will be diminished. You can do some research and use a calculator and measuring cup if you like, but nature’s pretty good at letting you know the right amount to drink. When you drink enough water, your urine will usually be pale yellow, though vitamin supplements and antibiotics can discolor it. On the other hand, you shouldn’t need to run to the bathroom too frequently. When in doubt, drink a little more. Do not worry that drinking water will give your body a bloated look. There are a number of causes of water retention, including consuming too much salt. But drinking water is not one of them. It is possible to harm yourself by drinking too much water, but it takes quite an effort. Either through obsessive-compulsive behavior or extended athletic activity, drinking large amounts of water can dilute the electrolytes (sodium and potassium) in your blood to the point that it interferes with brain, heart and muscle function. Athletes compound the problem with the loss of sodium (salt) through sweating, but can drink electrolyte replacement drinks like Gatorade Endurance Formula to help keep things in balance. • Drinking other liquids also provides your body with a source of water, but note that diuretics cause your body to expel water. Diuretics include caffeinated drinks (coffee, tea and soda) and alcohol. When drinking diuretics, drink more water to compensate. • When drinking alcohol, drinking water along with it as well as before and afterward may eliminate a hangover headache and feeling of tiredness. • When you feel thirsty, you are already dehydrated. Try to avoid this situation by drinking in advance. Be especially careful when participating in activities where you won’t be able to stop to get caught up.  By contributing to MeesterPT, you are helping us continue to develop new content, training methods, mental health resources, and allow us to provide our services at no or low cost to community members with less resources. Your contributions are greatly appreciated, no matter the size. ← Eat yo’ banana, son! © 2015 MeesterPT. All rights reserved.